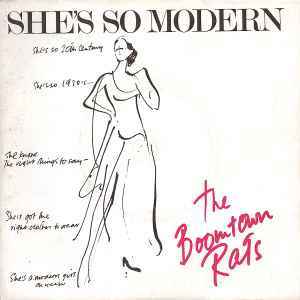 Green Ensign sleeve with promo of Boomtown Rats album and Lipstique album. Plain white sleeve. Solid centre. box2,some marks and it jumped once on my old record player.Picture cover. box46,some marks but plays without skipping on my Fidelity record player of the time,great record,they played it live of course2013.Glossy picture cover. [NK - 2323] Original Copy - Plain Card Sleeve | We are a real record shop based in Hackney Wick, opened since 2012, we buy and sell second hand records of all genres. Pick up welcome!